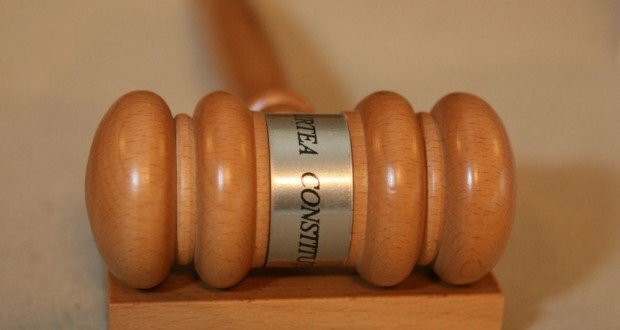 The Constitutional Court of Romania (CCR) has delayed to rule on the legal conflict between Parliament and the High Court of Cassation and Justice on the topic of the specialised judge panels for corruption cases. They are due to give a ruling on Thursday, April 11, at 10:00hr. The constitutional judges argued that the one-day delay is due to the health problems of the rapporteur judge Petre Lazaroiu, who is to have a spine surgery. So, the court has decided that debates should be resumed tomorrow at 10 a.m. If the CCR judges are ruling in the complaint, all sentences ruled in a first court can be challenged and the lawsuits might be resumed. The parties involved in the lawsuit have upheld their viewpoints. Social Democrat MP Florin Iordache, chamber deputy speaker, representing the Parliament, has stated that the judge panels for the corruption cases had been set up at the Supreme Court by violating the law, arguing that the supreme court has no 3-judge panels specialised on corruption deeds, as the 5-judge panels have, and that the specialised judge panels were mandatory by the law. The ICCJ head, Cristina Tarcea has said that a ruling of the CCR says that the deputy speaker of the Chamber of Deputies has no authority to notify the Court’s on a legal conflict, for this duty cannot be delegated by the Chamber Speaker, in this case, Liviu Dragnea. Tarcea also said that the supreme court had not broken the law 78/2000, as it is claimed in Iordache’s notification, for the establishment of the specialised panels is confined by another law, 92/1992. The Supreme Court’s president added that this complaint aims at ignoring the randomisation of the corruption files. “Starting 2011, a fundamental right of a fair trial, namely the one of the randomisation of the files, has been guaranteed at legislative level. But the randomisation of the files means an extended range of panels on computer to take over a certain file. What we are being asked now? To ignore the randomisation principle and to manually choose the judges who will be part of the specialised panels on corruption”, said Tarcea. Florin Iordache has notified the Constitutional Court over article 29, paragraph 1 of Law 28/2000 that says „for judging the crimes stipulated by the present law, specialised judge panels must be set up”. Iordache filed the notification during March 16-24, when Liviu Dragnea had delegates his duties to Iordache because he was admitted in hospital over medical issues. Liviu Dragnea, chairman of the ruling Social Democrat Party, has already reclaimed, through his lawyers, that corruption cases are judged in an illegal manner at the Supreme Court. His referral is related to the file where he was sentenced to 3 years and a half in prison for abuse of office by a 3-judge panel of the High Court. Mass media reported that the referral to the CCR would be Dragnea’s last chance to get away with the conviction and to have his case retried. Other famous politicians with criminal files, such as former Constanta mayor Radu Mazare or PSD MP Andreea Cosma, are in the same situation.